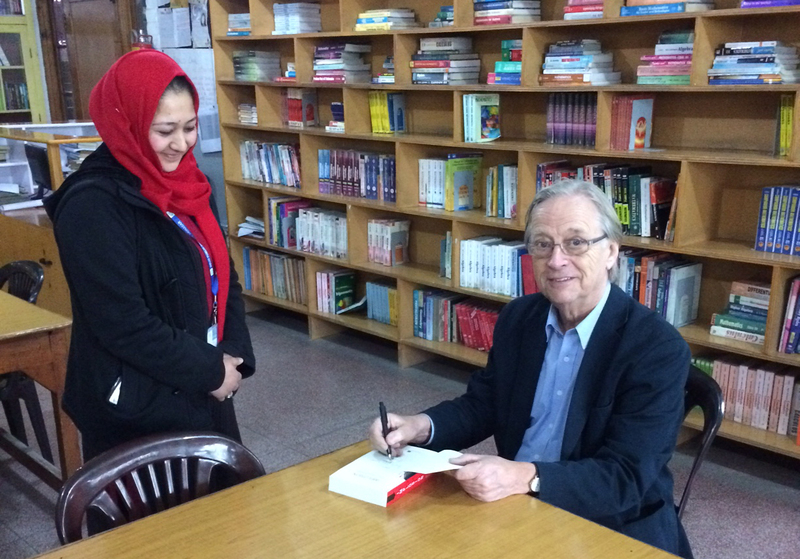 Author of IMPLOSION: India’s Tryst with Reality, John Elliott visited Delhi Public School Srinagar and interacted with students and staff in school library. He also signed his book, Implosion, personally for the library. John Elliott is a British journalist and has been in South Asia for more than 20 years, writing initially in the 1980s for the Financial Times and, from the mid-1990s, mostly for Fortune magazine (till 2009), The Economist (2013), and earlier the New Statesman. His reports now appear on the Hong Kong-based AsiaSentinel.com home page, and on the blog pages of The Independent newspaper (UK) and Newsweek magazine in the US. He started his column, Riding the Elephant, in April 2007 as a twice-weekly column on Fortune magazine’s website – http://money.cnn.com/magazines/fortune/ . The aim was to expand the website’s coverage of India in the run-up to Fortune’s big Global Forum conference in Delhi in October 2007. After the Forum, he continued the posts about once a week till the end of July 2008 when, following budget cuts at Fortune.com, the blog began its independent existence here. Posts used to appear occasionally on the FT.com India page. He writes about India, and sometimes its neighbours, every week or so. He is the author of prize-winning book, IMPLOSION: India’s Tryst with Reality, published internationally by Harper Collins.